Hull City Supporters’ Trust wishes to place on record our extreme disappointment at the cancellation of last night’s Supporters’ Committee meeting. 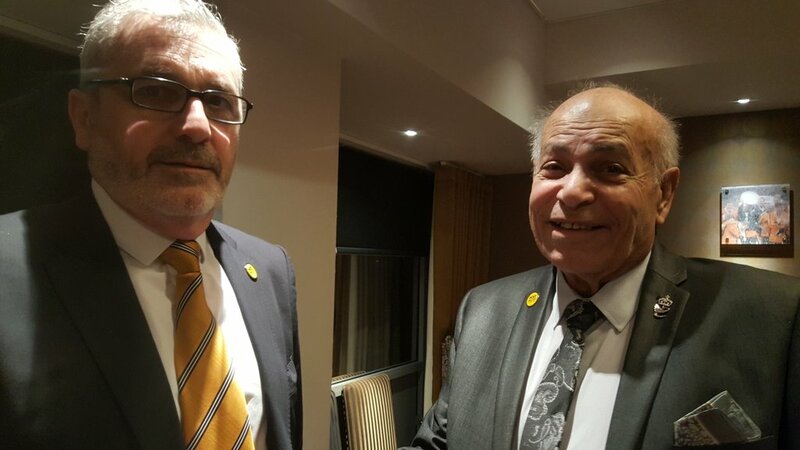 Ehab Allam cited an article in the Hull Daily Mail as his reason for calling off the meeting, claiming that he could not operate under a “thinly veiled threat of further disruptive action” by HCST. The article in question can be found here. We do not accept this as a valid reason to cancel a meeting which people had given up their own time to attend. There was no threat made by HCST. Just an observation that after over four years of bad relations between the owners and supporters and two meetings that have yet to provide any progress, if there were to be no tangible improvements then it was conceivable protests could start again. That is reality. We would like to remind Mr Allam that these extraordinary meetings of the Supporters’ Committee were arranged by him in order to try and reach an amnesty and put a stop to protests. We presented Mr Allam with a detailed proposal on how concession tickets could be re-implemented easily and at no cost to the club, but we are yet to hear any feedback on this. Similarly we also presented Mr Allam with an alternative version of the current naming guidelines used by the club. The only changes we made were to never use Hull City Tigers or Hull Tigers and to instead use Hull City. Again, we are yet to hear a response. As always, HCST is willing to engage with any owners of Hull City AFC where there is a genuine desire to come to an agreement acceptable to all concerned. We believe Mr Allam’s actions will only result in exactly what he purported to avoid and strongly urge him to meet again with fans as soon as possible. Why not have supporters who actually support the club attending these meetings, instead of people like Bielby who clearly do not. Why not ask the club if you can go? You could of course run for one of the posts available if you are a member of HCST. Very easy to criticise a volunteer, are you willing to commit the time, patience and energy required to the task? The Allams own the club and supporters I am afraid have little power other than to demonstrate especially in front of the cameras. The HDM have not done you any favours in printing the article. they have sold news papers though. Be more conciliatory in the future and the Allams might….yes big might, respond. I agree that by meeting with them you may be just being ‘techniqued’ rather than being genuinely engaged. The Allams have made it very hard to continue to support the club. I have given up after over 40 years. Oh please wise up, people. The Allams use classic Trump-style political manoeuvres and you defend their actions! They act the offended party after four years of aggressive and unnecessary actions which have continued to damage the club an you fall for it. They are not interested in true negotiations. All is on their terms. The meetings were a smoke screen to avoid more fan action. I guess there are always those who will side with the bully. Thanks to HCST for trying to move things forward. It was always likely to be a fruitless task with those two in charge of the proceedings. I applaud everything that you and the trust are doing. BUT. Just call for all our protests. They are just stalling and don’t want us to step up again. Let’s show them exactly what happens when they lie to HULL CITY AFC supporters. Time to ramp it up.